Irene Loves Elephants: September 7th Cuba It Is. But unfortunately not for me. How I wish it was me that was going to Cuba. I am just in the process of winding up arrangements and booking for a customer off to both Cuba and Mexico. Her itinerary is jaw dropping and I keep telling her how envious I am. She did extend an invitation to join her, but nah. It just wouldn't feel right to go there without my George. So all I can do now is salivate over her itinerary and wait for all the feedback when she returns. At which time I will die of envy once again. To have one of these in my possession (and obviously not for long) is quite a rarity. 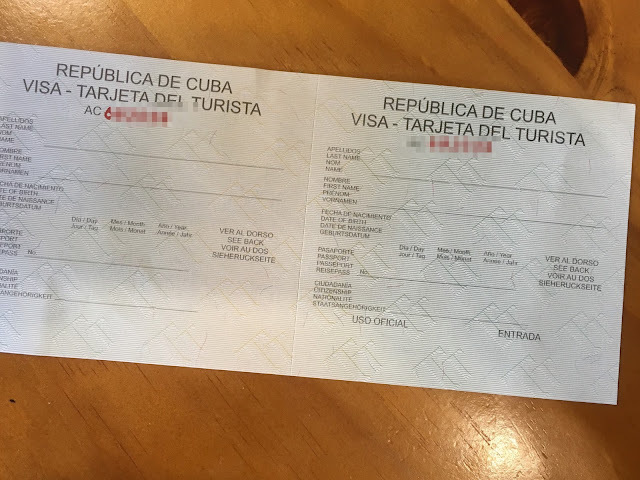 This is a Cuban Tourist Card.